Effective Social Platforms to Build Your Company Brand - Illusive Design Inc. There used to be a time when social media was just something “kids” were into, something that they were even told to avoid because it could bring more harm than good to put your information online. Nowadays, with the advent of technology and the invention of Wi-Fi social media has become the best channel for information dissemination what with the number of people currently using the Internet reaching and soon surpassing 3 billion, no wonder businesses have taken to the web for marketing solutions. Truly the most popular and biggest social media channel to date, aabacosmallbusiness.com tells us that Facebook has an estimate of 1.11 billion using the site each month, 665 million active users each day, and generates up to 645 million local business page views per week, Facebook has proved its popularity amongst users is here to stay. The reason why Facebook is the most effective social platform lies within its accessibility and functionality. Functionalities that allow companies to post photos that allow visualization of your products, put out real time ads, update promotional information and accessibility that allows the customers to interact with you through comments and messages without limitations with regards to geography you could be in any country in the world and still be able to connect with your customers. In addition to that, Facebook is very low maintenance. Posting everyday ensures your visibility but posting a few times a week is okay too. Coming in at a close 2nd is Twitter with its 320 million active users. This social media channel is filled with people that have plenty of things to say and people who are willing to listen. Working with twitter allows real time posts and real time feedback. Being one of the 10 most popular websites in the US has its perks and with Twitter’s wide reach it is not only a great way to market your business it’s also an effectual means for handling customer interactions since people tend to air their concerns and commend companies who impress them online using the 140 characters that Twitter allots for each tweet. One surefire way to keep your twitter account’s presence felt and make sure it allows you to quickly spread word of your business is to post interesting content. An account that has a lot of funny and fascinating stuff to say usually just markets itself and the way to do this is as simple as retweeting and sharing nice posts. Although concentrating on the visual aspects of marketing, Instagram is a good platform for those with niches in the artistic side of business. Graphics do well for a lot of companies since it catches the eye more than the typical written ad. Instagram has been acquired by Facebook and currently has more than 400 million active users who post everything may it be food, art, travel, fashion or basically anything you can think of. Instagram access is a bit more limited compared to other social media platforms, as it is only fully functional in mobile. The Web version allows only viewing and commenting. The way to maintain and succeed with an Instagram account is ensuring that the person in-charge has a keen eye for detail and an in-depth (not really) knowledge of hashtags. Don’t get me wrong, a well-thought visually appealing image gets plenty of attention as well but coupled with the appropriate hashtags your engagement stats can go through the roof. Think of this as an online bulletin board where users can save and display posts in the form of pins. Much like Instagram, Pinterest employs the artistic side of businesses and is very visually oriented. Posts on Pinterest are usually images or videos with a catchy line or two describing it. The key to a successful Pinterest page albeit quite time consuming is assuring that your posts are search-friendly and that your board is nice and organized. A tip from businessdaily.com tells us that Pinterest’s users are primarily women, and popular categories on the site are DIY projects, fashion, exercise, beauty, photography and food. That’s not to say that businesses outside of these categories can’t succeed on the platform, but it does make it a great marketing tool for businesses that do work in those areas. If you can find ways to connect your content to Pinterest’s audience, then go for it. An estimated 359 million users are active on this social media platform and it is thought to be a marketing paradise that’s a mix between Facebook and Twitter. Google+ simply by its name requires no further explanation as to its benefits for a business. Google+ accounts related to any Google search keywords automatically appear on the first page of the results regardless if the person searching follows your account or not. Google+ pages need to be updated from time to time and requires you to actively interact with your users and other business pages as well. Hashtags also work for this social media platform. The number of active users for each of these five social media platforms alone should be enough to convince you to utilize them in building your company brand. You don’t have to shell out a capital to post stuff online. All you need is an attractive post plus effective hashtags and you’re on your way. You can choose which ads to post on which sites so you’ll be able to control the general population that you can reach out to. Some social media platforms include statistics on your page so you can see how far your reach is and how many engagements you are getting from your audience. Allow your customers to get in touch with you in the most convenient way possible. Messages, tweets, and comments are all real-time and you’ll be able to get notifications on your mobile phone or computers whenever something or someone needs your attention. Everyone is online nowadays and those who aren’t can’t actually be considered competition. Checking out other businesses is a lot easier when you engage in social media all you have to do is look at their posts. People nowadays tend to search everything online. Once they hear about your company they will most likely look for you on the web. Survey says that people trust a company that has online traffic and consider the ones that don’t as shady. There you have it. 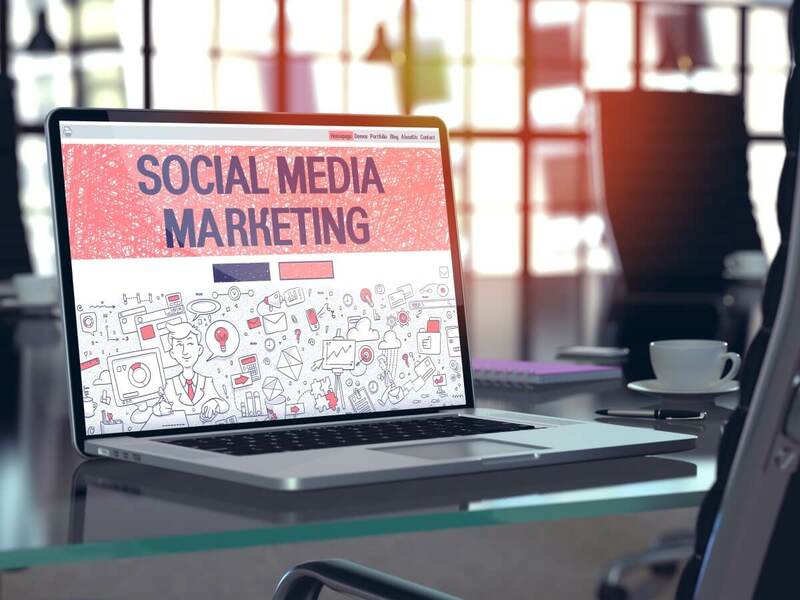 Since you’re already convinced (I don’t know why you couldn’t be) begin your social media venture today and see just how much of a difference embracing the current trend can bring to you promoting your brand. If you don’t know how to begin, start by creating an account and wait for my next entry where I will discuss with you the steps in creating social media accounts that will surely boost your business. Tips and tricks will be reviewed and considered so be sure to stay tuned.